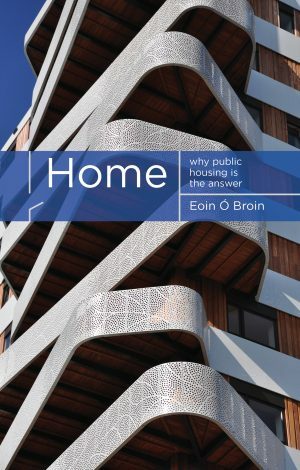 Home: Why Public Housing is the Answer examines the structural causes of our housing emergency, provides a detailed critique of government housing policy from the 1980s to the present and outlines a comprehensive, practical and radical alternative that would meet the housing needs of the many, not just the few. Categories: Coming Soon, 20th Century History, Political History, Merrion Press. Thousands are homeless, tens of thousands are languishing on social housing waiting lists, even more are unable to afford to rent or buy. Why is our housing system so dysfunctional? Why can it not meet social and affordable housing needs? For three decades Government policy has been marked by an undersupply of social housing and an over-reliance on the private market to meet housing needs. Housing has become a commodity, not a public good. The result is a dysfunctional housing system that is leaving more and more people unable to access appropriate, secure and affordable homes. The answer, as argued in this transformative new book, lies in establishing a Constitutional right to housing, large scale investment in a new model of public housing to meet social and affordable housing need, real reform of the private rental sector and regulation of private finance, development and land. Eoin Ó Broin is a TD for Dublin Mid-West and Sinn Féin’s spokesperson on Housing, Planning and Local Government. He is author of Matxinada, Basque Nationalism and Radical Basque Youth Movements (LRB 2003) and Sinn Féin and the Politics of Left Republicanism (Pluto 2009). He is a regular contributor to the Sunday Business Post and An Phoblacht.